Got a slide but you’re afraid to use it? Join me, Griff Hamlin, as we walk step-by-step through 5 Easy Slide Solos in the styles of some of the greatest slide guitar players of all time. And in the “5 Easy…” tradition, nothing is faster than an 1/8th note so you’ll be able to put these ideas to work for you right away. But if you’re like me, figuring out how Duane Allman puts some of those ideas together (in an open tuning, no less) was nothing short of a Sherlock Holmes mystery… and I’m no Watson. In fact, it took me many years of research and learning a lot of other things before the open tunings and some of the “tricks” of slide playing really started to click for me. So now I’ve taken all those years and all those hours with my SG and a collection of slides and distilled them down into 5 Easy Slide Solos that you can play and incorporate into your own slide playing style. 5 “Textbook” slide solos in the styles of Duane Allman, Bonnie Raitt, Derek Trucks, Warren Haynes, and Elmore James. If you’re learning slide, these are the people you want to learn from! Full speed and slow speed versions of each solo for you to play along with so you can work with the slow version until you get it down, then move to the full speed for when you’re ready to show off to the world. Jam Tracks for all 5 solos so once you’ve got it all memorized and under your fingers, you can take away my playing and do it all on your own. This is the best way to prepare for playing these live with a band. Complete breakdowns of each and every lick in each and every solo. Complete transcriptions of each solo with the licks labelled. I’ve made it dead-simple to follow along and know where you are at all times so you can learn the solos as fast as humanly possible. Close ups of me playing with both the right and left hand… The picking hand is extremely important in slide and you’ll be able to see how I use my fingers on my picking hand to mute and strike notes at all times. How to handle the main open tunings you’ll encounter, open D, open E, and open G tunings. A bucketful of great slide licks that you can use over and over again in literally hundreds (if not thousands) of tunes. Wouldn’t You Like To Be Playing Slide Like This? The proof is always in the pudding, as they say, so check out the 5 solos you’ll be learning… remember nothing here is over an 1/8th note tempo so it’s all within your reach. 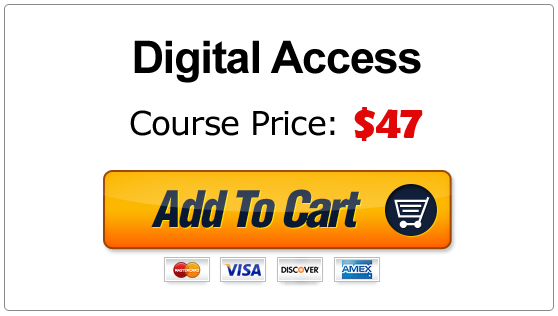 As with all of my courses, 5 Easy Slide Solos is guaranteed for 365 days. If you don’t absolutely love these solos I insist that you ask me for a refund! But I know you are going to love them as much as I enjoyed putting them together for you. 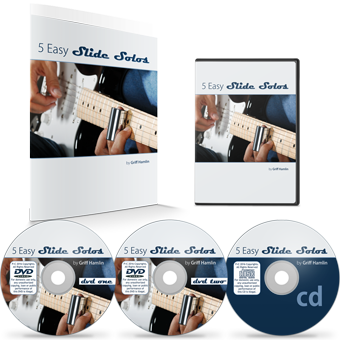 5 Easy Slide Solos comes in 2 exciting flavors… traditional DVD and new digital download. 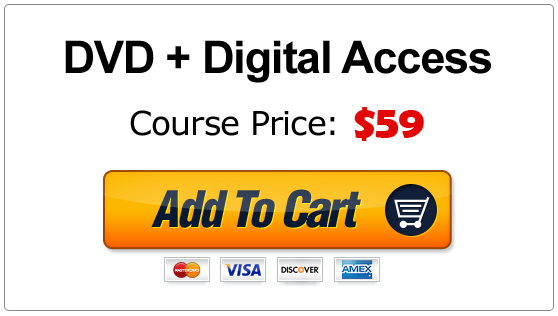 Digital downloads are immediately available upon completion of your order, and there is no tax or shipping no matter where you live. 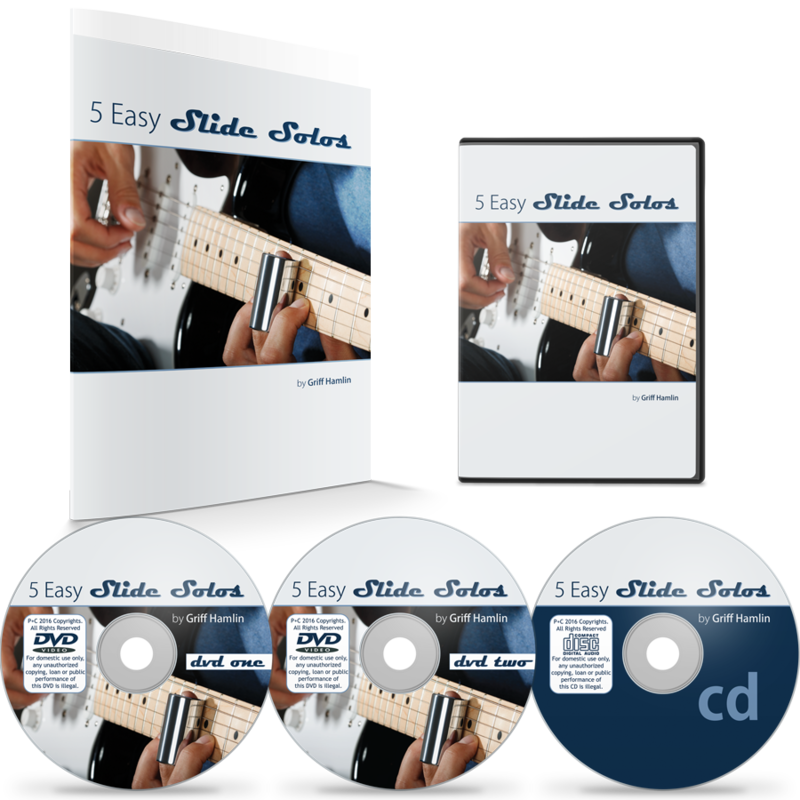 To get your copy of 5 Easy Slide Solos just click the yellow “Add To Cart” button below with your preferred delivery method. Within moments of your order being complete you will receive access instructions to the Member Portal via email. So you can be playing the blues in just a few minutes from right now! No blues player’s back of tricks is complete without the soulful sound of the slide and 5 Easy Slide Solos is simply the fastest and best way to add real slide licks to what you do. When your nerves hit on a stage or with a group, you want to play things you know, not just things you know of… and with 5 Easy Slide Solos you’re getting real, authentic slide guitar that’s within reach by just about anyone. All you have to do is grab your copy and make these solos your own. There’s never going to be a better time than right now.